Save time. Save money. Eliminate risk. eFuel eliminates the need for your drivers to fuel your vehicles. 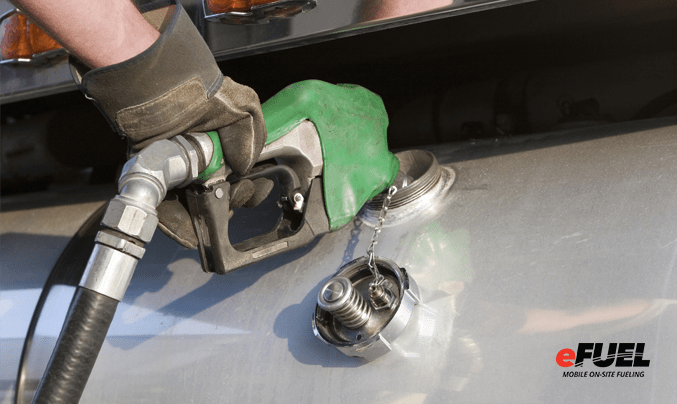 This saves you time, money and eliminates fueling risks. We deliver diesel fuel and DEF directly to your fleet, generator and equipment at a cost lower than conventional fueling options. Our On-Site Fleet Fueling and Generator Fuel Maintenance offered 24/7 provides value and convenience for your business. It is why we have grown every year for over 20 years. We serve thousands of customers throughout California from Fortune 100 customers to small local businesses. We also have strategic partners and can service nationwide if needed. Come partner with us and make your diesel fueling easy.